KfW set up a large conference on water crisis in MENA region. 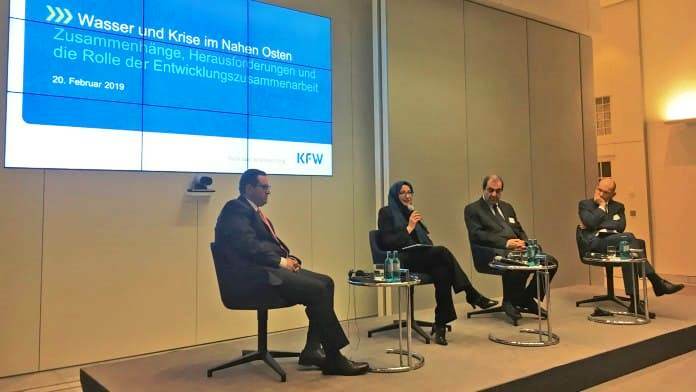 SFDYemen representative Ms. Lamis Al-Iryani explained the water crisis during conflict in Yemen and sustainable response using German fun. She, caseshowed an impressive documentary on the crisis and solutions the SFD has responded with in Taiz and Abyan governorates.